You probably don’t spend much time thinking about the electrical outlets in your home. It’s easy to overlook them when you plug in your cords and move on. However, when you need to install or replace an outlet you’ll find that there are a few different types from which to choose. Should you go with standard electrical outlets or an option that offers more safety or amperage? 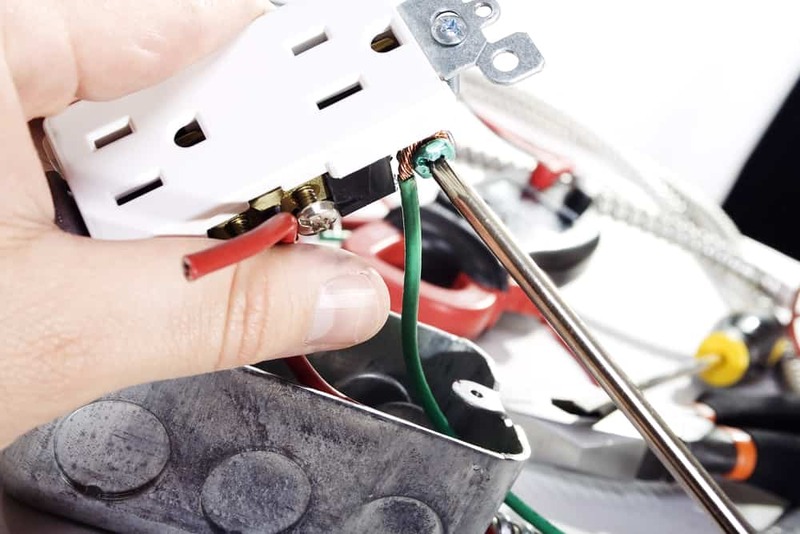 Consider the following when you need new electrical outlets in your Phoenix home. You’re most likely familiar with standard outlets that are common in homes. These are 15-amp or 20-amp outlets that have a long slot, a short slot, and a half-circle grounding hole below the slots. Depending on your needs, you might want to consider a more specialized outlet. Ground fault circuit interrupter (GFCI) outlets are ideal for lowering the risk of being shocked. When you plug a device or small appliance into one of these electrical outlets, you don’t have to worry about ground faults. The GFCI outlet shuts off power as soon as it detects an electrical current leakage from the circuit. Electricians typically install GFCI outlets in areas where homeowners have a higher risk of shock. This usually means putting them in areas where water is close by, such as in the bathroom and near kitchen sinks. GFCI outlets can provide safety in outdoor areas as well. When you have kids, you know the importance of babyproofing. The first goal is often to make sure little fingers don’t put anything into electrical outlets. Outlet caps can help with this, but it’s easy for kids to pull them out. Tamper resistant outlets can provide peace of mind. Young children may try to stick a narrow object into an outlet just to see what happens. If this went unnoticed in a standard outlet, it could start a fire. Tamper resistant outlets require pressure to be added to both slots at the same time for the outlet to function. Although this type of outlet is resistant to tampering it’s important to note that it doesn’t fully childproof your outlet. Anyone could insert a plug into the outlet using even force. An electrician can install these outlets throughout your home in place of standard outlets. After an electrician installs your new outlets they provide a permanent safety feature to give you peace of mind. Outdoor electrical outlets are at risk of being wet or damp, so your electrician will need to install weather-resistant outlets. These outlets are designed to resist corrosion and potentially dangerous damage from exposure to moisture. Keep in mind that they’ll need to have weather-resistant covers on them, too. Weather resistant outlets are the right choice when you need outlets installed near pools or on your patio or deck. You can safely use these outlets for plugging in tools, lights, and decorations without having to worry about electrical injuries. When 15 or 20 amps isn’t enough to handle your electrical load, you’ll want to look into having an electrician install high amp outlets. These outlets can handle larger loads from major appliances or heavy-duty power tools. You can find these in 30-amp or 50-amp options. The amount of amperage you’ll need will depend on what you’ll be using it for. Working with an electrician ensures that you get the right high amp outlet for your needs. If you need help with anything from installing a new outlet to changing the entire electrical system in your home or commercial property in Phoenix, contact Turn It On Electric.